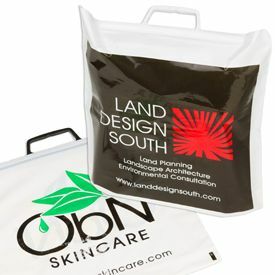 These soft loop handle bags can be customized with your company's logo so that when shoppers leave your bakery, toy store or gift shop, they have something to remember you by. 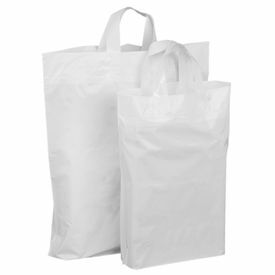 14 X 15.5 + 3"
If you are looking for good quality plastic bags with soft loop handle then you must try our special soft loop handle bags which have maximum strength to hold excessive load. 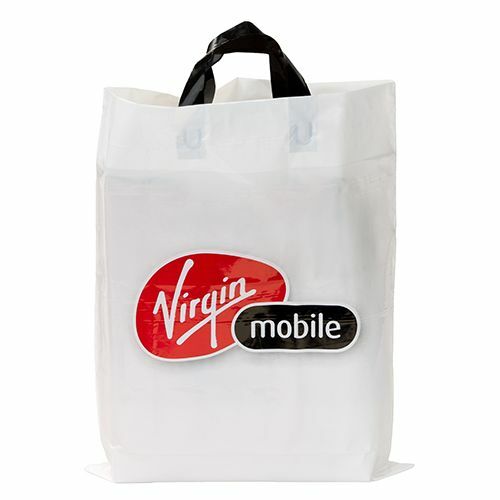 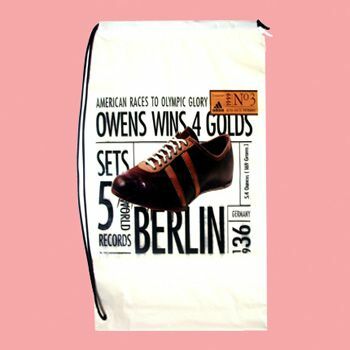 These shopping bags are best to be used in retail stores, gist shops and toy stores, clothing shops and boutiques, as well as stationary shops. 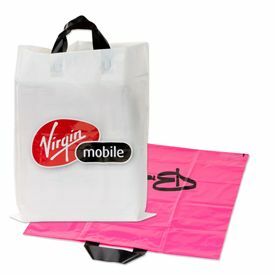 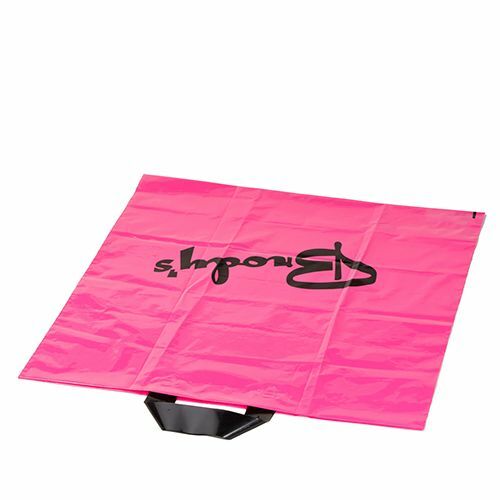 The soft loop handle bag also provides smooth rectangular shaped platform for the printing of brand image, title, and logo which is greatly noticeable. 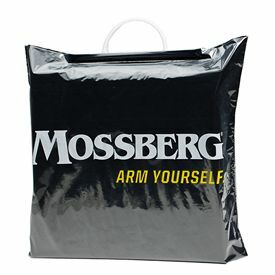 These soft loop handle bags come in variety of interesting color styles and several different sizes. 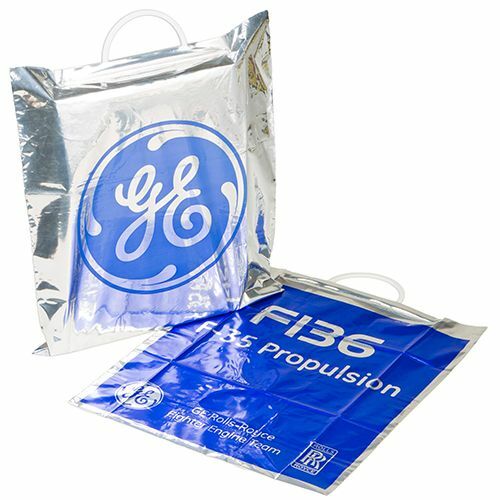 The colors that are popular in this category are dark blue, white, and beige. 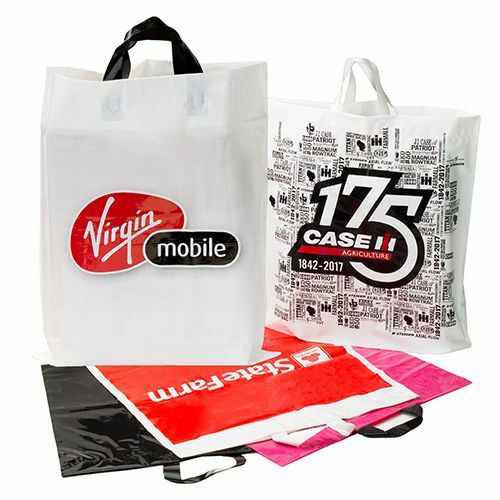 These bags are customizable and can have name, slogan, image, and quotes imprinted on it.